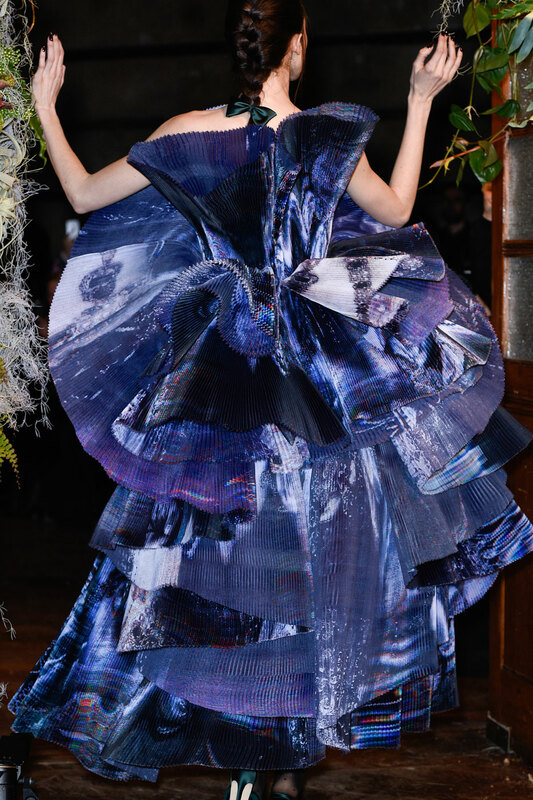 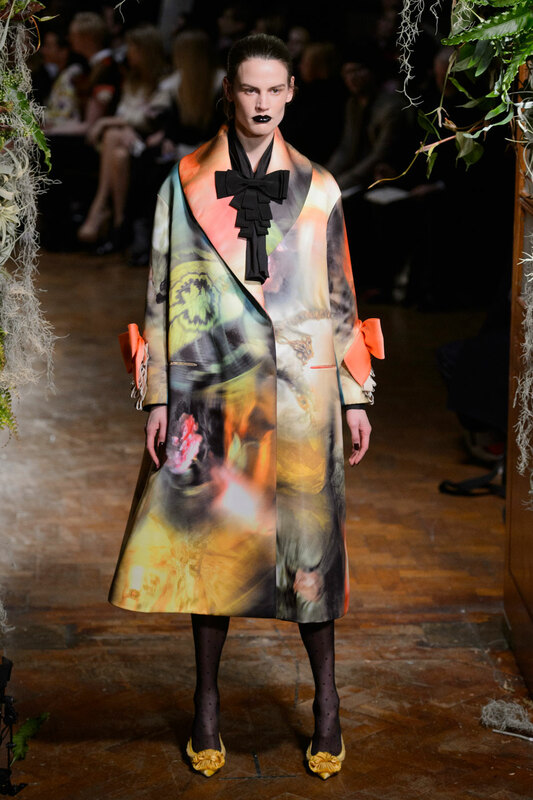 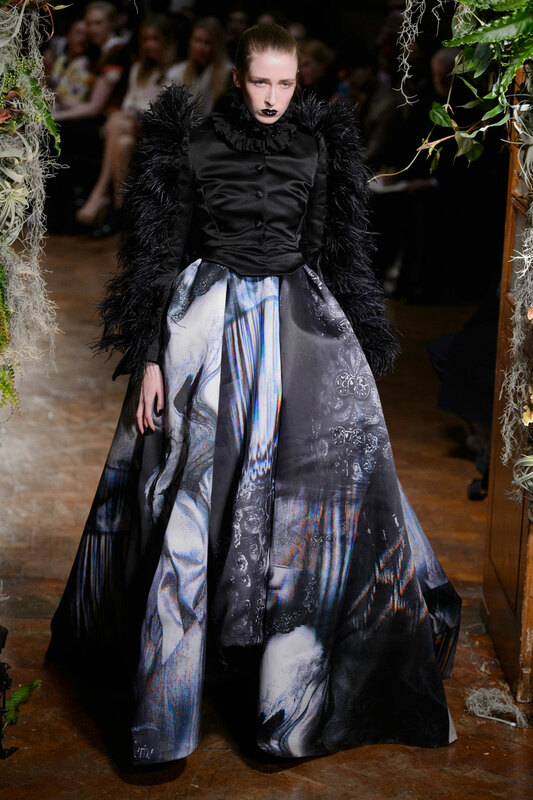 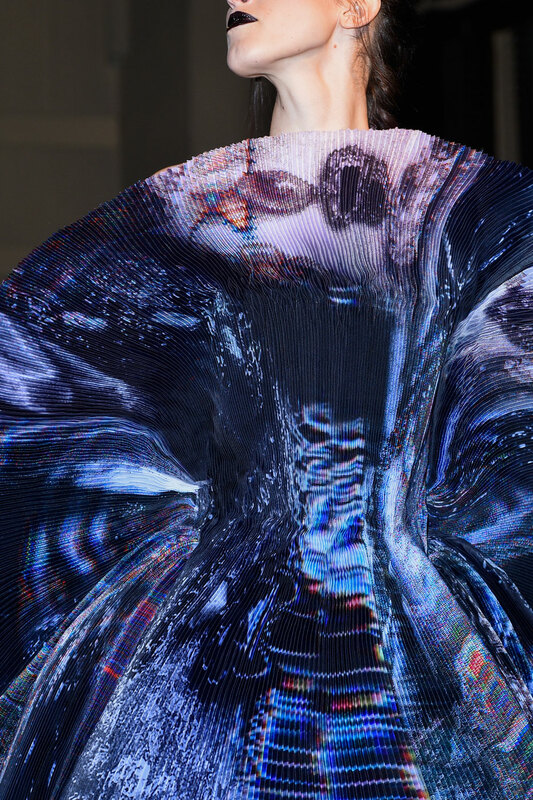 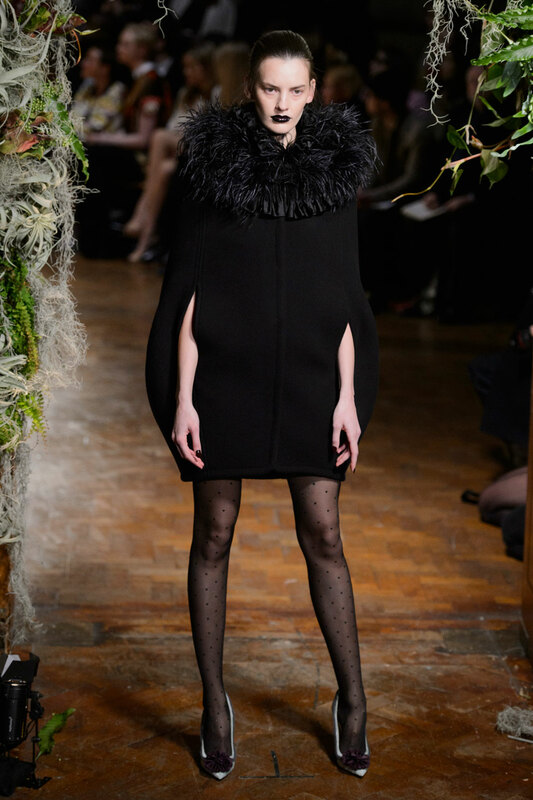 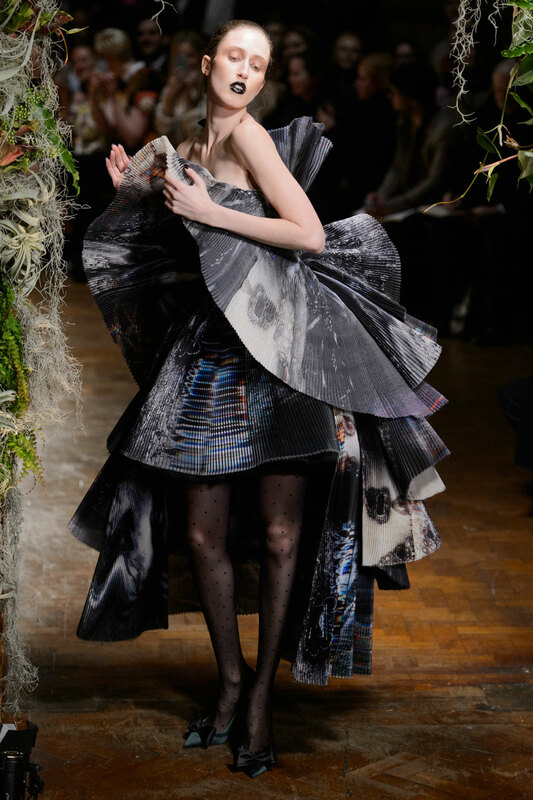 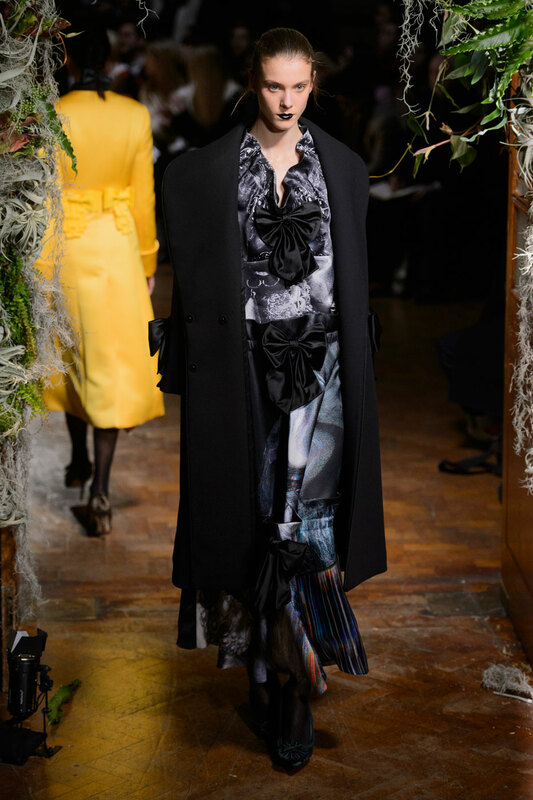 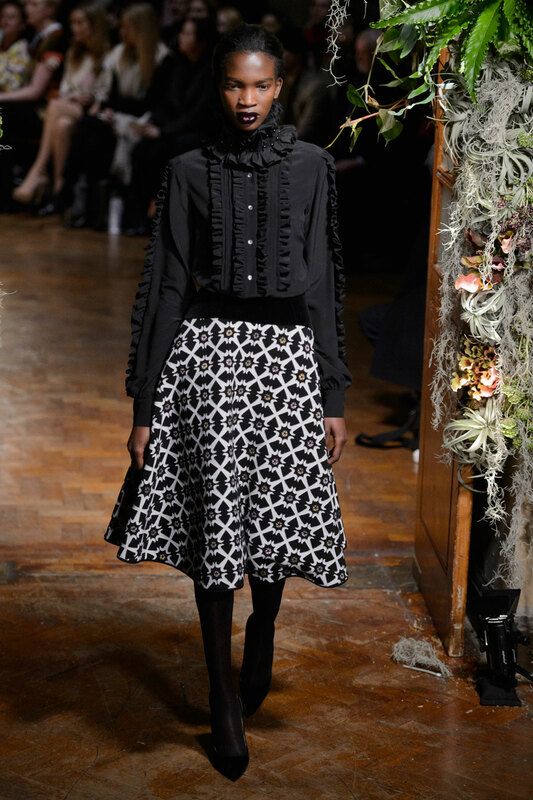 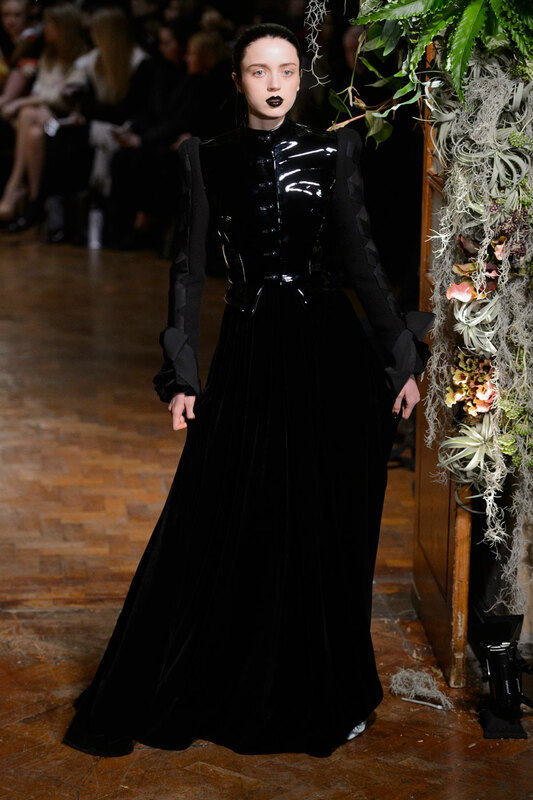 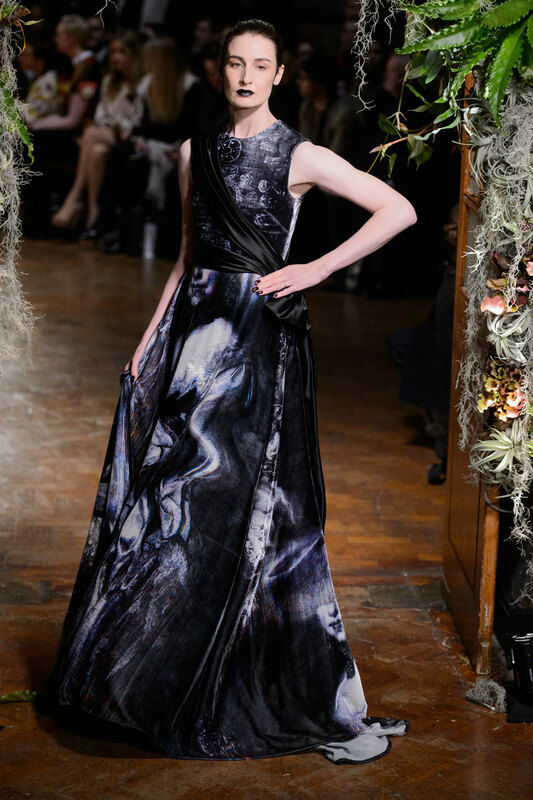 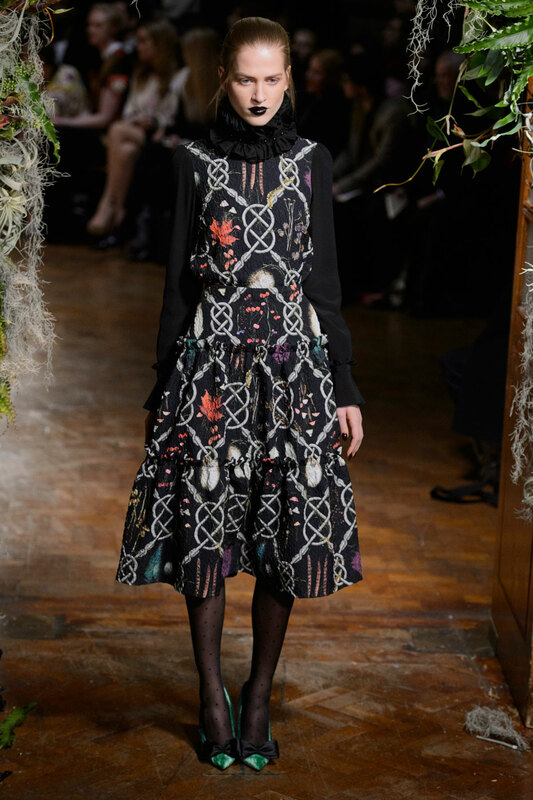 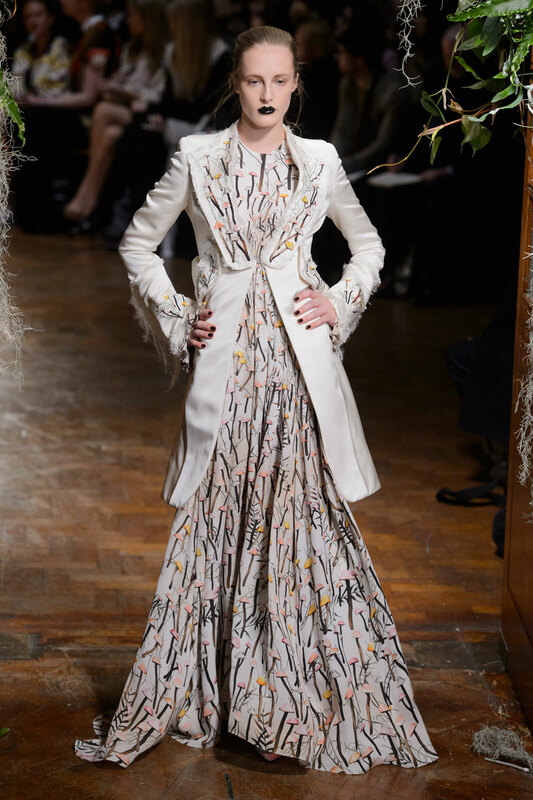 GILES Women Autumn-Winter 2015 – Much like the tone of his Autumn-Winter collection of 2014, Giles Deacon returned tonight with moody monochrome in an exhibition that proved to be one of London Fashion Week’s most atmospheric. 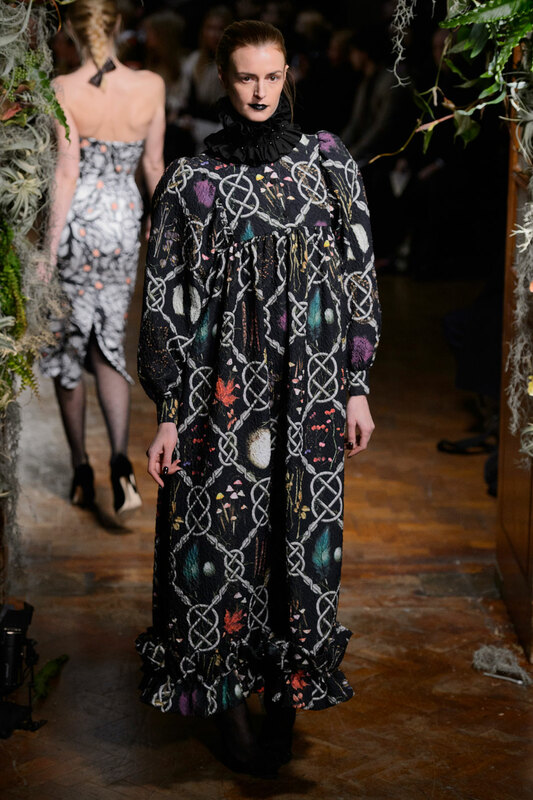 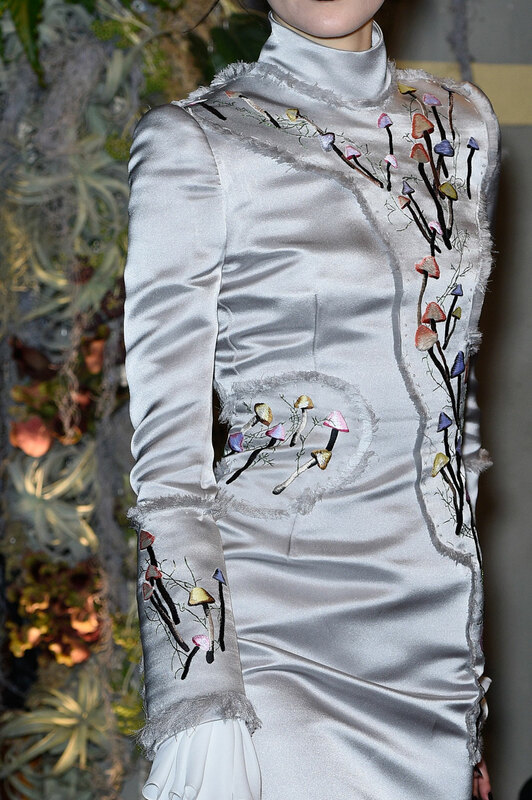 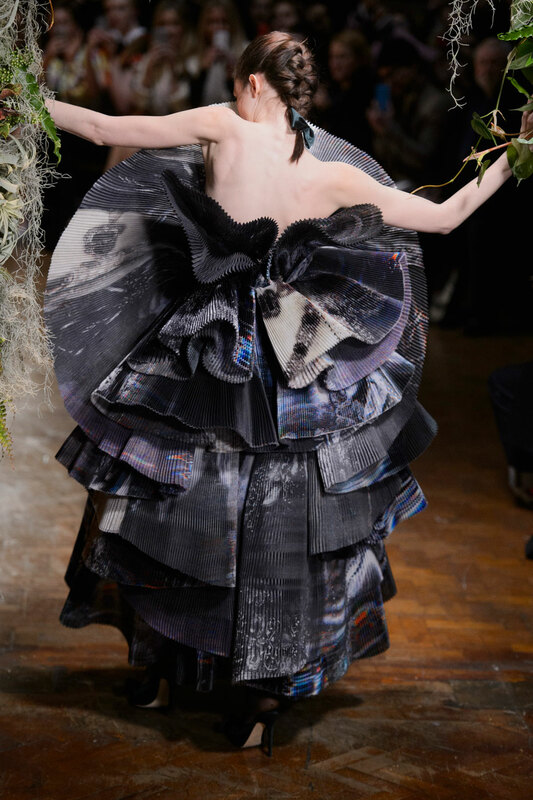 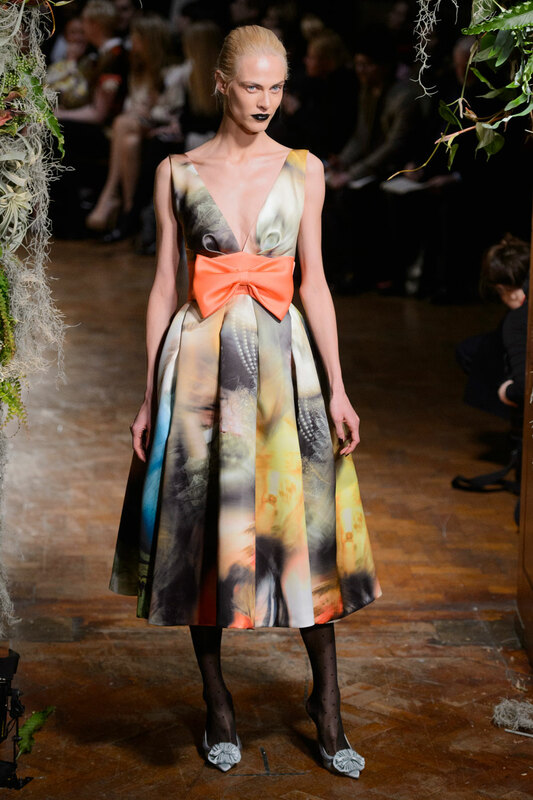 Transforming his show space into the numerous rooms of a Horticultural House, Giles’ collection was based on the gothic glamour of the Georgian Era whilst the designer’s commitment to artistry was demonstrated throughout runway. 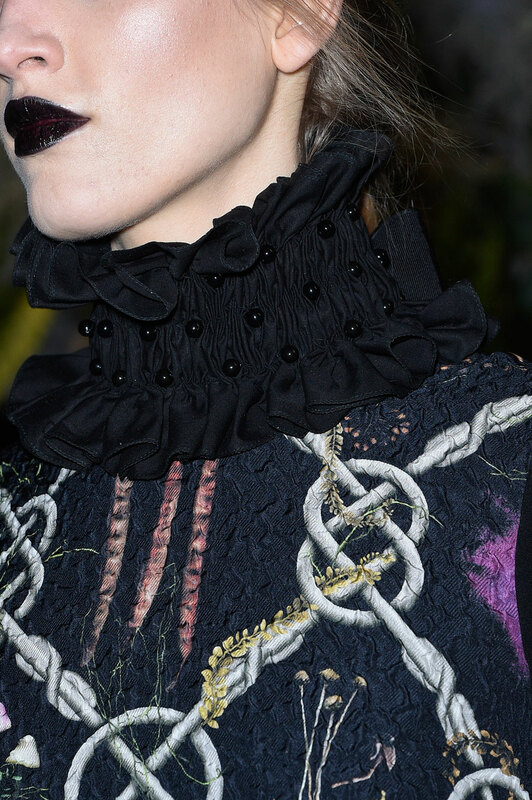 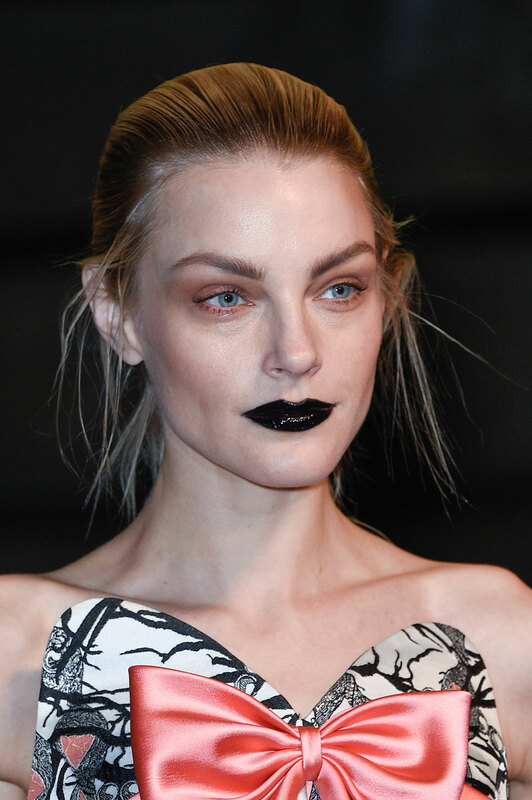 Ensuring everything represented the eras aesthetic, the hair of models was slicked back into plaits with the gloom of the gothic being prescribed through a layer of black lipstick. 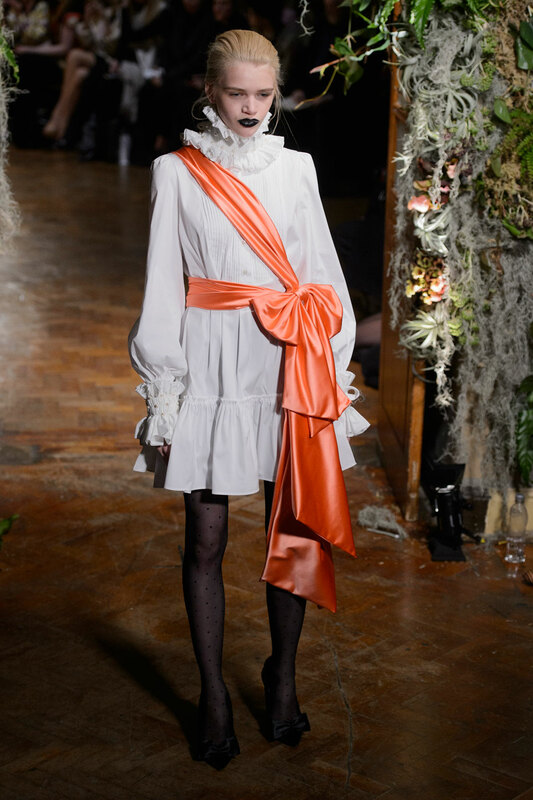 Similar to the contrast of the darkened lip against the paleness of complexions , the collection saw oversized white shirts and their ruffled sleeves and collars paired with the darker fabrics of pencil skirts and smocks. 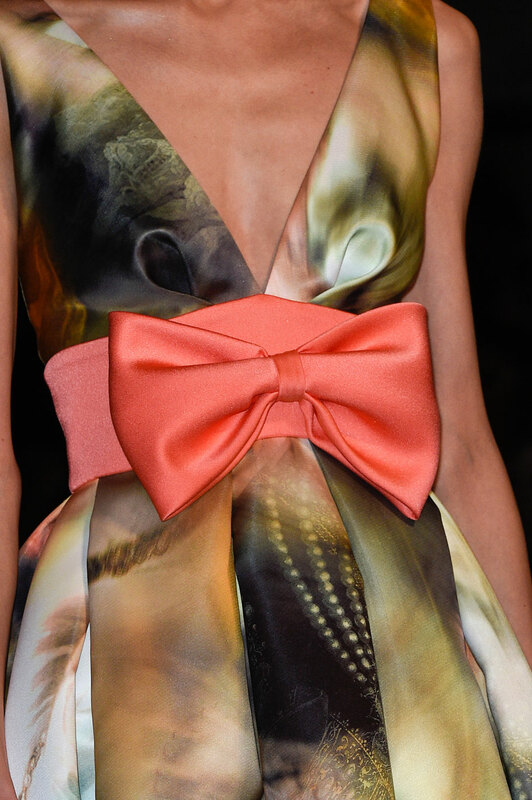 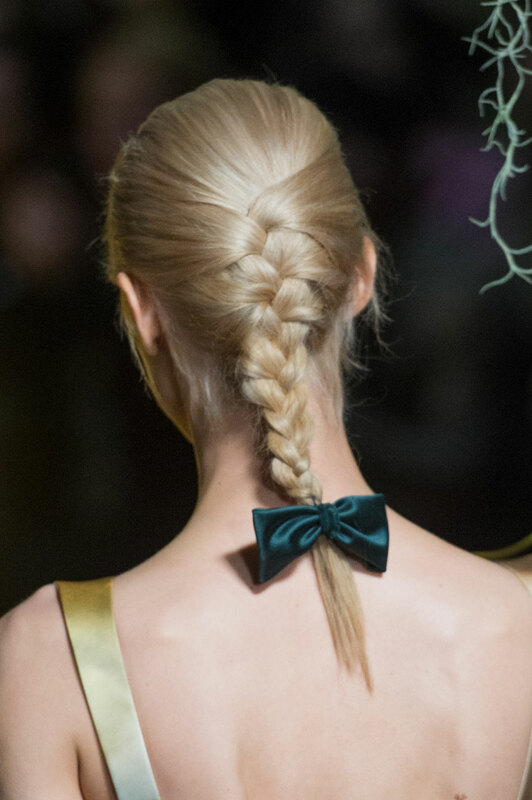 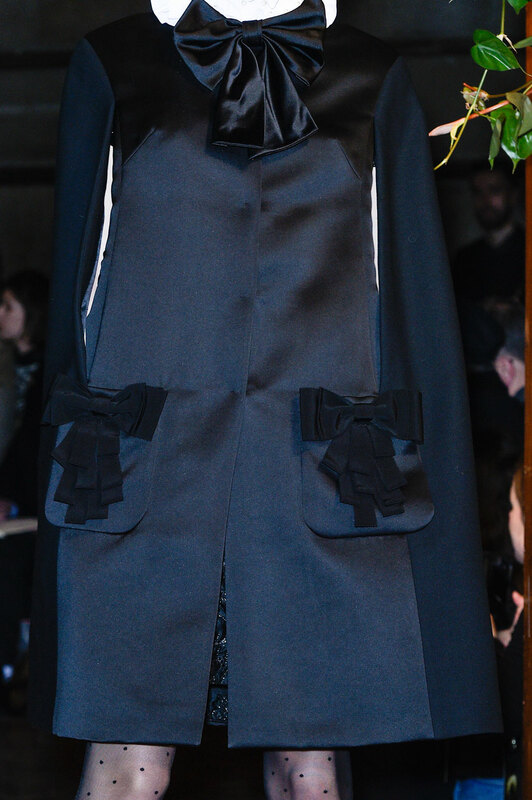 Although the initial use of black and white seemed basic, all designs featured elaborate bows and detailing. 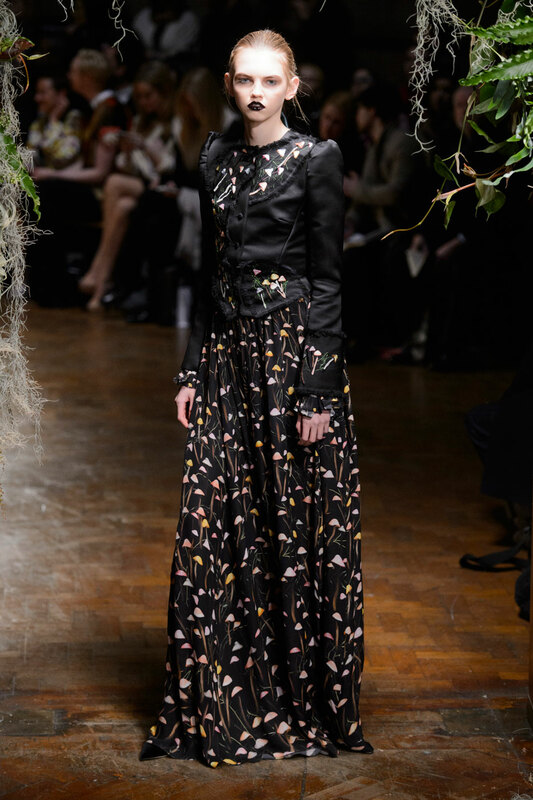 As the collection progressed so did colours and patterns, from the block prints on coats to the mushroom prints on floor-length gowns. 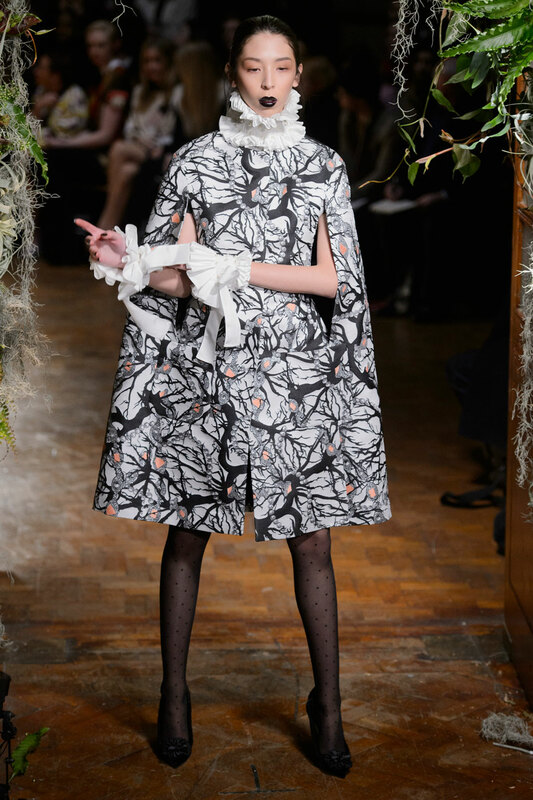 With surprise appearances from Erin O’Connor and Kendall Jenner as well as theatrical model posing and dancing, this collection will prompt some serious style guidance from Wednesday Addams.